The staff and volunteers of 22qties Unite would like to personally thank you for your continued support in our beautiful organization. 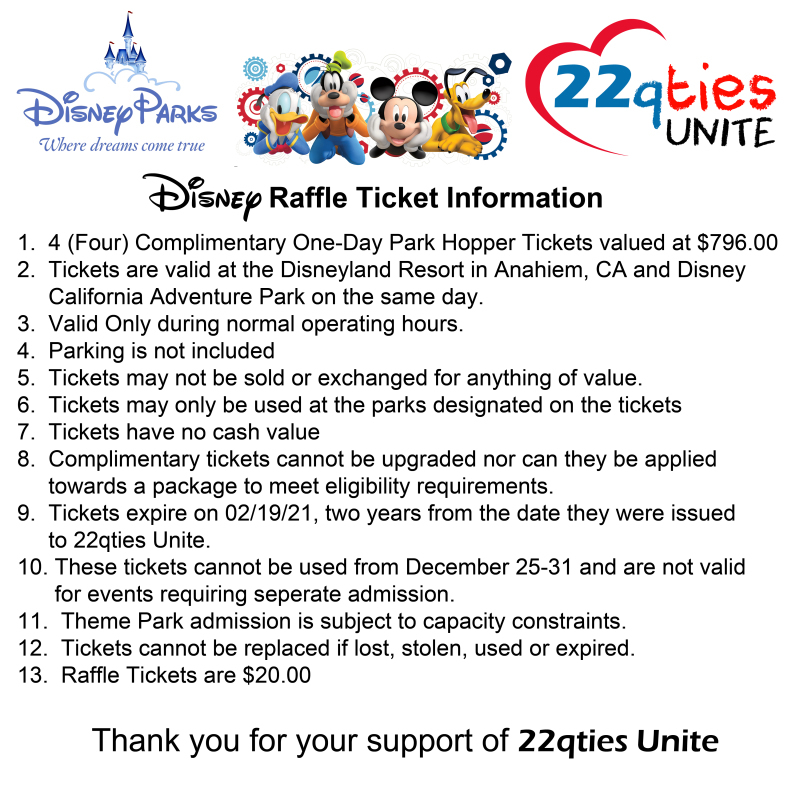 We are proud to offer you an opportunity to win 4 (four) Park Hopper Tickets to Disneyland Resorts in Anaheim, California. Tickets are valued at $796.00. 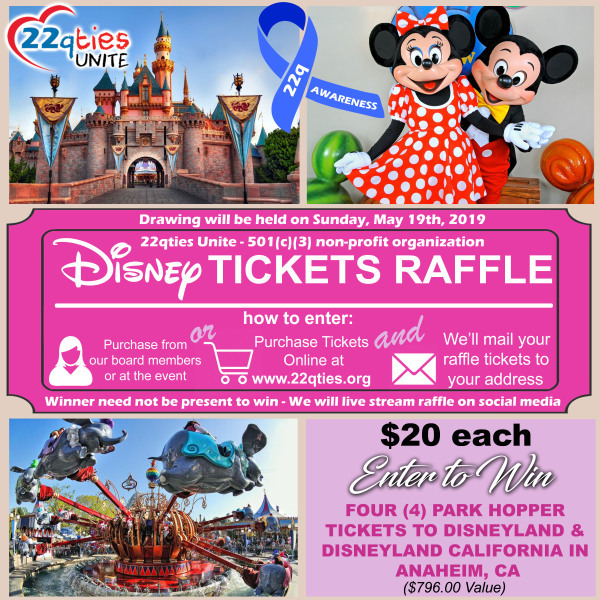 Please purchase your raffle tickets online and share on your social media accounts. We are also selling physical raffle tickets, so you may contact a board member or a staff member for tickets. All online purchases, will be mailed your raffle stub.